A plumbed in, chilled drinking fountain. An ideal solution for schools, gyms, shopping centers and the work place. Push button operation and sports bottle/carafe filler. Delivers 25 litres of water/hour. The fountain is plumbed into the mains, meaning that the cost of running this fountain is 80% cheaper than running a bottled water cooler. Ventilated condenser guarantees better cooling and high performance. Stainless steel sink top. 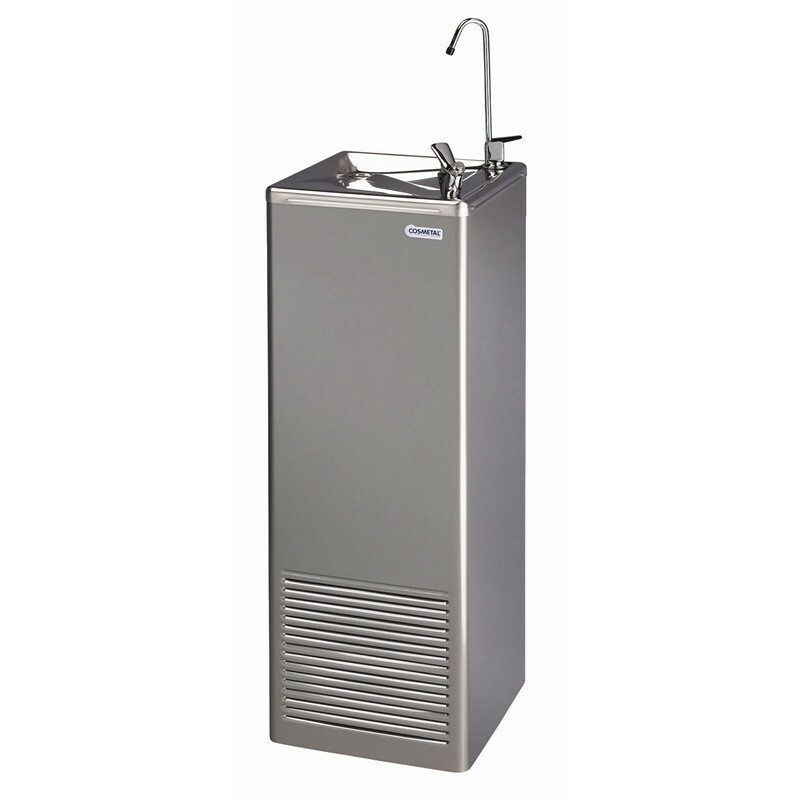 Direct chill technology provides an unlimited supply of water with minimal build up of bacteria. Dimensions : 1060(h) x 400(w) x 420(d)mm. Power Type : 220V. 190W. 13A. Temperature Range : 4-8 degrees C.
Warranty : 12 months parts & labour.